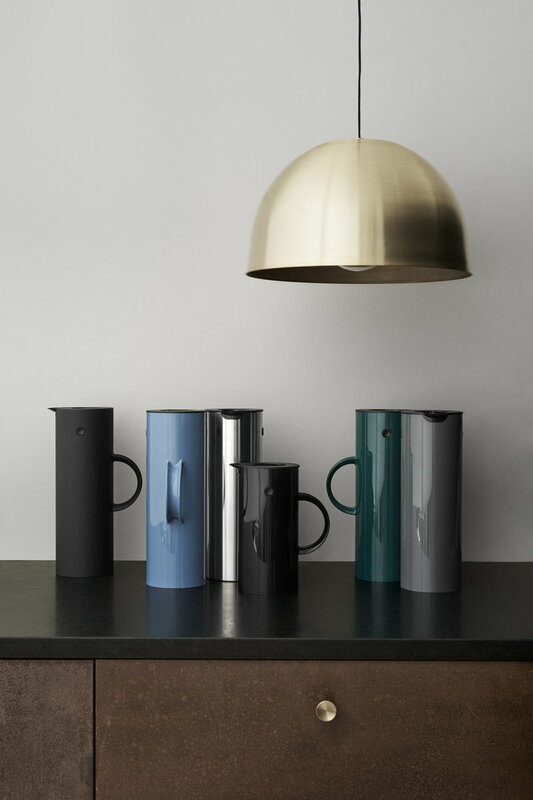 Stelton vacuum jug, designed in 1977, is no doubt one of the most well-known vacuum jugs in the world and an indisputable icon of Scandinavian design. All the attributes connected to the work of its designer Erik Magnussen can be found in this classic piece: functionality, ease of use and minimalistic beauty. Erik Magnussen (b. 1940) is a versatile Danish designer who was educated as a ceramist at the School of Applied Arts and Design, graduating in 1960. His works – ranging from tableware to furniture, lamps and high-tech products – are characterized by simplicity and functional elegance. He has worked for manufacturers such as Bing & Grøndahl, Stelton, Fritz Hansen, Royal Copenhagen, Paustian, Royal Selangor and Shipmate – realizing many different products in a variety of materials. 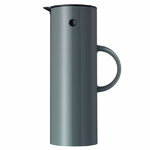 One of his most famous products is the vacuum jug he designed for Stelton in 1977. The vacuum jug, which was originally launched in stainless steel, is now produced in ABS plastic and throughout the time has been produced in more than 30 colours. Erik Magnussen's vacuum jug was introduced as follow-up to Arne Jacobsen's Cylinda-Line. Just like Arne Jacobsen's design the stringent cylindrical shape and two-coloured, graphic appearance of the vacuum jug expresses a minimalism and functionality that keeps being ahead of its time. Other pieces designed by Erik Magnussen for Stelton – such as for example the creamer and the sugar bowl – were introduced to accompany his vacuum jug. 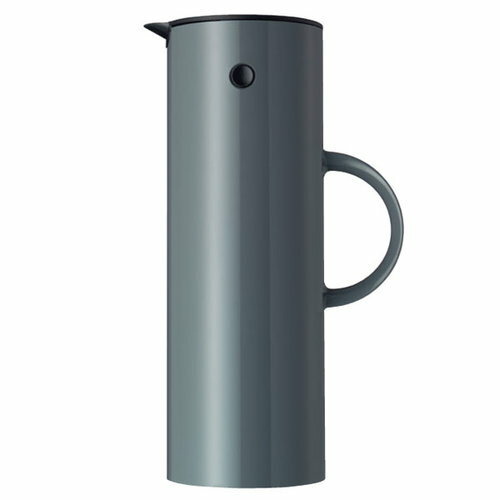 The vacuum jug is one of Stelton's best selling designs and has received the Danish Design Award 2007. Erik Magnussen's designs are exhibited in museums throughout the world and he has received several design awards including the Lunning Prize, the Furniture Prize and the Red Dot. His products have received several times the ID-prize by the Danish Society of Industrial Design, he was also nominated as the Designer of the Year by the Danish Design Council and won the Good Design Gold Prize awarded by Japan Industrial Design Promotion Organization.